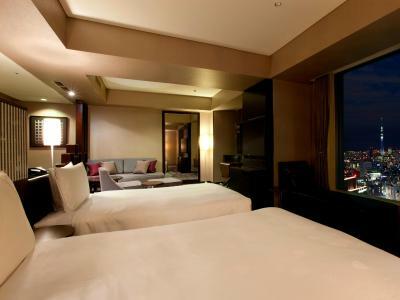 Lock in a great price for The Royal Park Hotel Tokyo Shiodome - rated 8.8 by recent guests. Facilities were good but it was more of a business hotel. 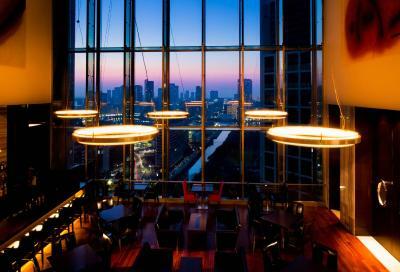 The location was great for access to the subway and restaurants in the Shiodome area. 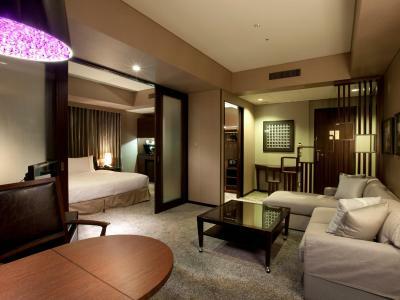 The rooms were adequate not large but comfortable and had everything you need for a comfortable stay. 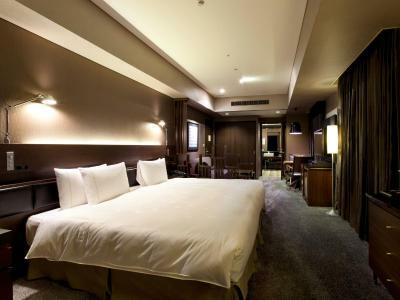 A beautiful hotel. Location was excellent. Staff were a delight and very attentive. Breakfast was excellent. Views from the restaurant and hotel room were phenomenal! The location is great, the property seems new and nice. Excellent customer service and location. Train station at doorstep. Two metro stations nearby. You can basically reach most of the tourist spots without making transfers - including Haneda airport. Also, there are bunch of places to eat and drink, only few mins walk away. 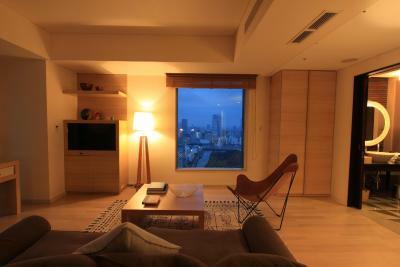 The lobby is located on 24th floor, and the lobby bar has good view during the night. 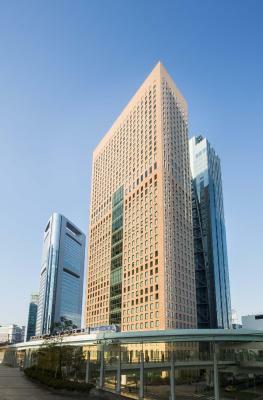 Overall great location, located in the business district and a great view from the room. The beds were not comfortable for me neither my partner. 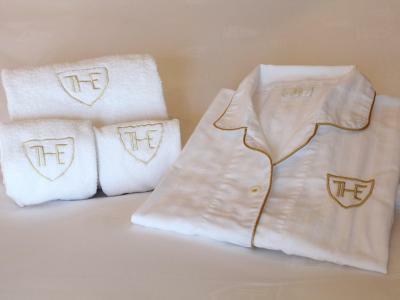 There were a few stains on bedsheets and things that we noticed throughout our stay. But the hotel itself was spotless. 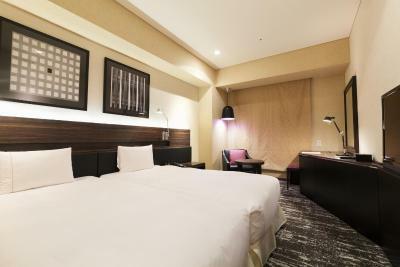 One of our top picks in Tokyo.Conveniently situated within a 3-minute walk from Shinbashi and Shiodome stations, The Royal Park Hotel Tokyo Shiodome is modern and stylish accommodation. 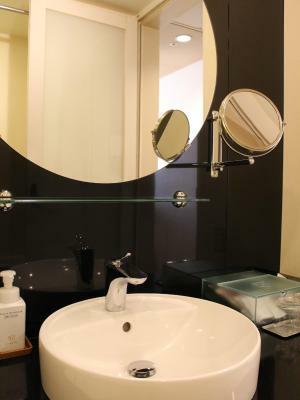 It provides a luxurious spa and a free-use fitness centre. Free WiFi is available throughout the property. 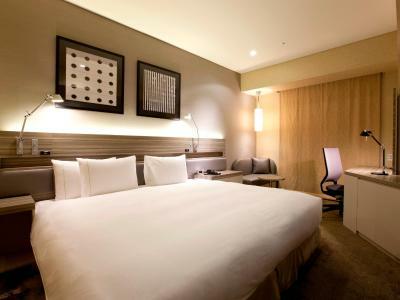 Located above the 24th floor and offering city views, the spacious guestrooms at The Royal Park Hotel Tokyo Shiodome feature a flat-screen TV with satellite channels, a fridge and an air purifier/humidifier. 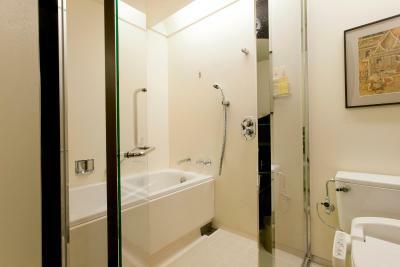 Guests can enjoy a soak in the stylish en suite bathroom. 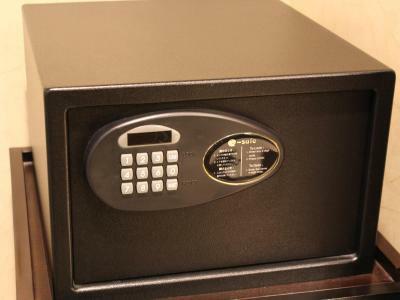 A safe and toiletries are also included. 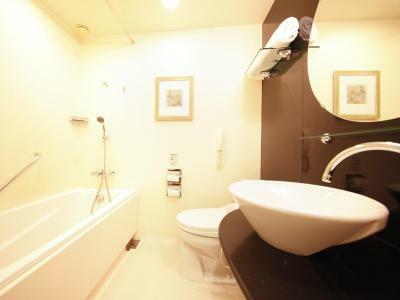 Popular Ueno and Asakusa areas are within a 15-minute subway ride from Shinbashi Station. Shiodome Station offers direct subway links to lively Shinjuku and Roppongi areas. 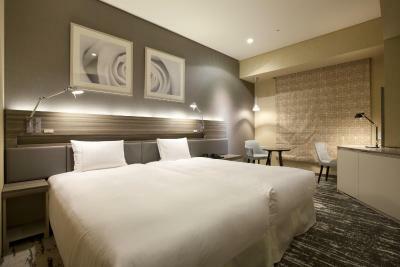 Limousine buses to/from both Narita and Haneda airports are available at an extra charge. 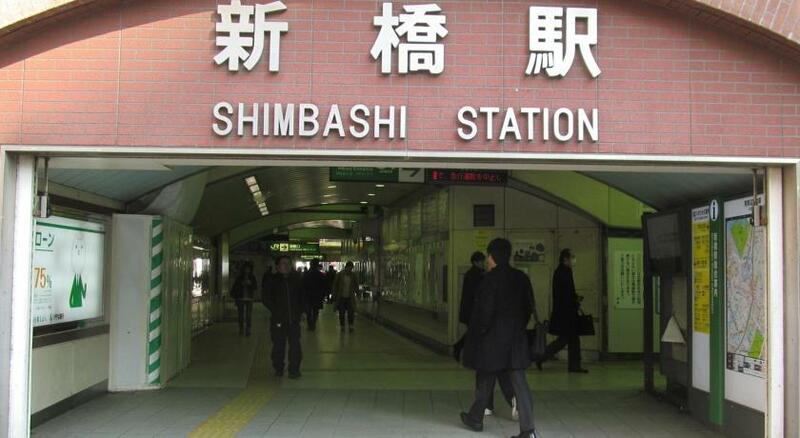 Shinbashi Station also provides a direct 35-minute train access to Haneda Airport. 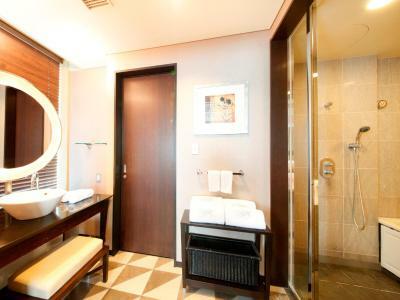 The Royal Park Hotel Tokyo Shiodome's Mandara Spa features various hot tubs for female guests, while their rejuvenating massages are available to all guests. 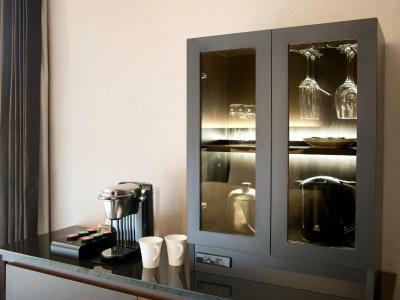 This hotel features earthquake-absorbent structures and offers a business centre and coin launderette. International cuisines are offered at the hotel’s on-site restaurants, including restaurant Harmony and Chinese Xvin. The Bar located on the 24th floor offers drinks on tap and skyline views. 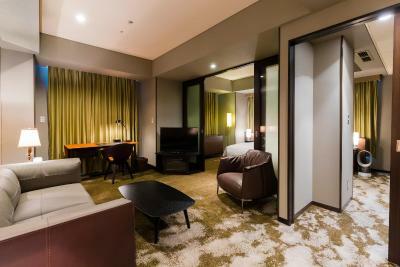 The Royal Park Hotel Tokyo Shiodome has been welcoming Booking.com guests since 28 Jul 2010. 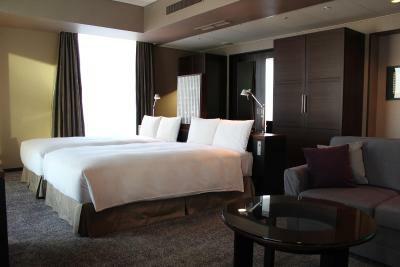 When would you like to stay at The Royal Park Hotel Tokyo Shiodome? 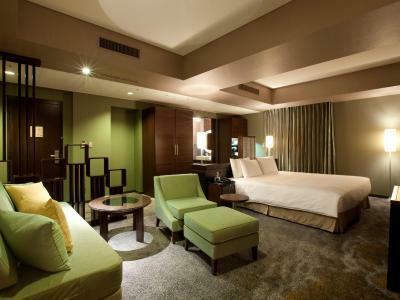 This room boasts a high ceiling and a flat-screen TV with satellite channels. 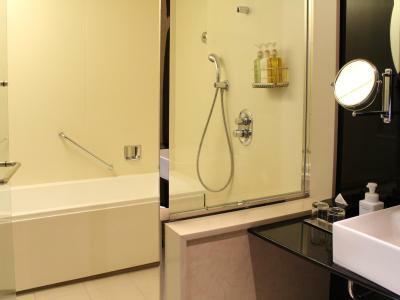 Other amenities include a safe and a stylish bathroom with a bathtub and toiletries. 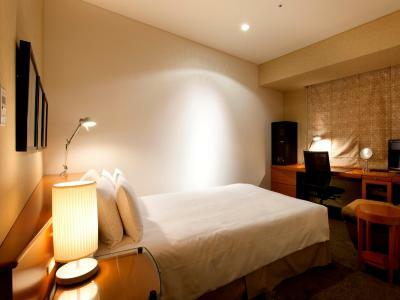 Public parking is possible on site (reservation is not needed) and costs JPY 100 per hour. 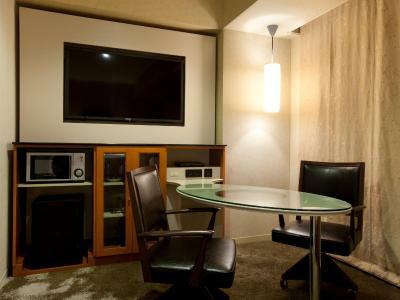 This room has air conditioning, air humidifier and satellite TV. Complimentary bottled water is provided. 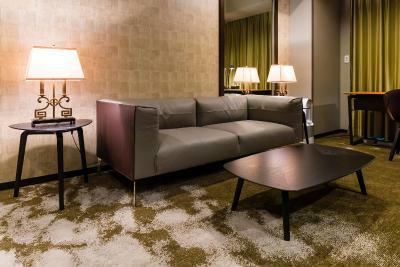 If booking is made for 3 guests, a sofa bed (93 cm wide) will be prepared. 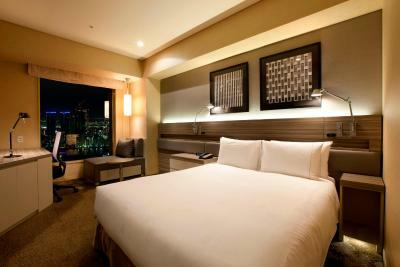 This room boasts a high ceiling, air conditioning, air humidifier and a flat-screen TV with satellite channels. 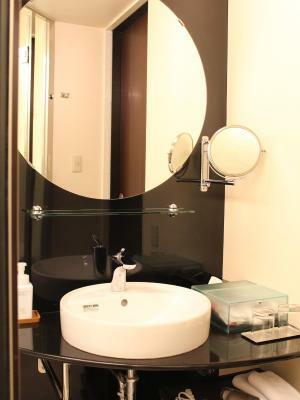 Other amenities include a safe and a stylish bathroom with a bathtub and toiletries. Complimentary bottled water is provided. 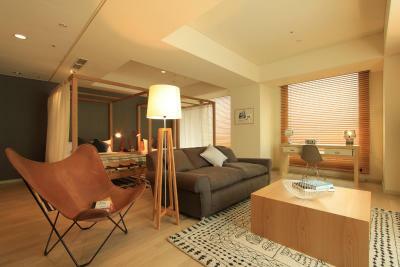 A sofa bed (93 cm wide) will be prepared for the 3rd guest. Located on the 38th floor. 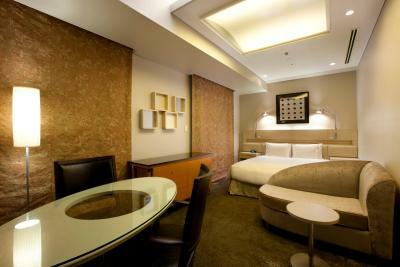 Comfortable room featuring a high ceiling and a flat-screen TV with satellite channels. 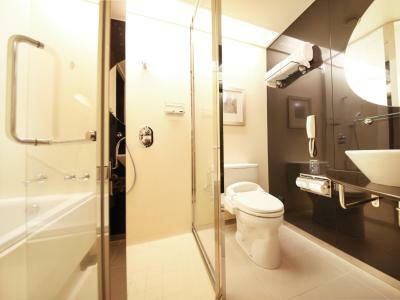 Other amenities include a safe and a stylish shower booth and toiletries. 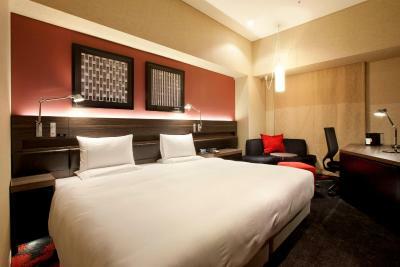 Comfortable room featuring a high ceiling and a flat-screen TV with satellite channels. 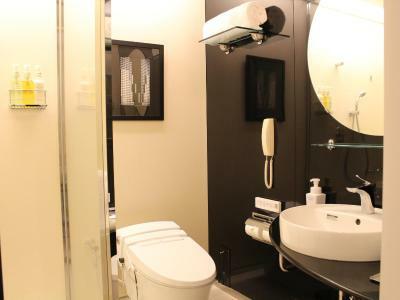 Other amenities include a safe and a stylish bathroom with a bathtub and toiletries. 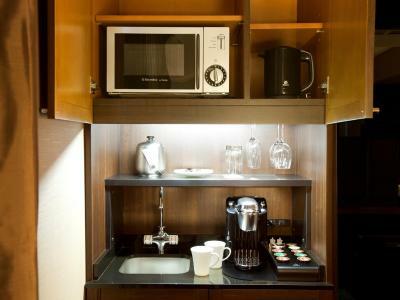 This room boasts a high ceiling, an electric kettle, microwave and a flat-screen TV with satellite channels. 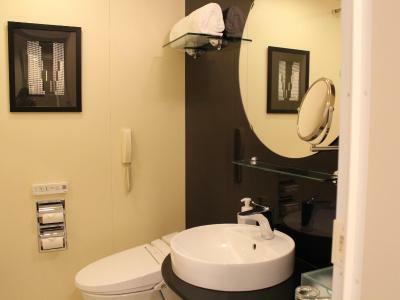 Other amenities include a safe and a stylish bathroom with a bathtub and toiletries. This triple room features a seating area, sofa and air conditioning. 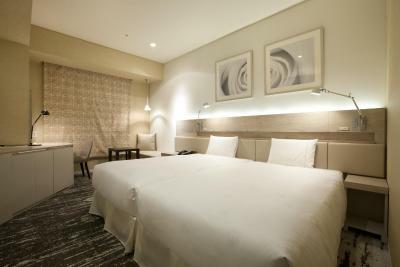 This double room has a seating area, sofa and air conditioning. 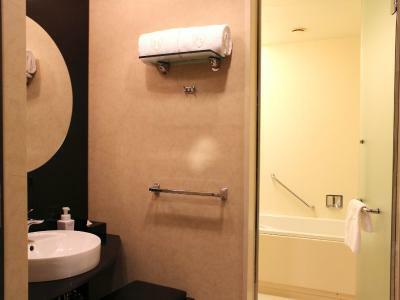 Hotel surroundings – This neighbourhood is a great choice for travellers interested in clean streets, friendly locals and culture – Check location Excellent location - show map Guests loved walking around the neighbourhood! 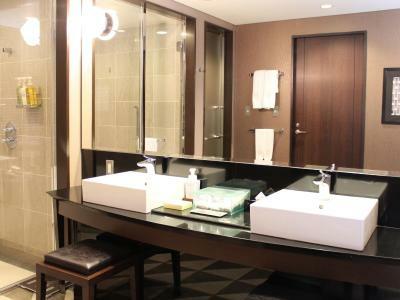 House rules The Royal Park Hotel Tokyo Shiodome takes special requests - add in the next step! 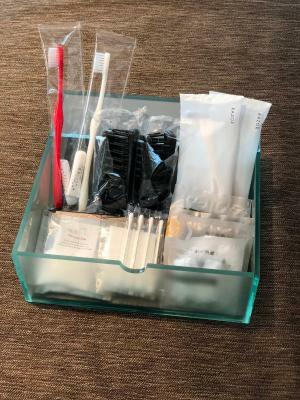 The Royal Park Hotel Tokyo Shiodome accepts these cards and reserves the right to temporarily hold an amount prior to arrival. 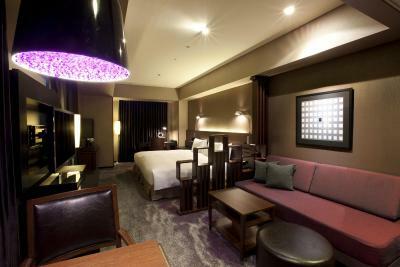 Limousine buses to/from both Narita and Haneda airports are available at an extra charge. 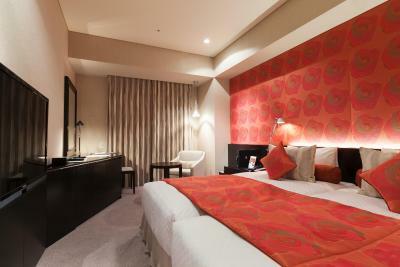 Please note that extra beds are subject to availability and need to be confirmed by the hotel in advance. 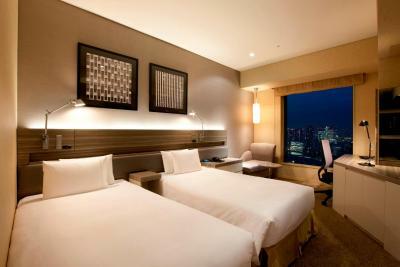 Additionally, extra beds cannot be added/removed after check-in. Kindly note that some rooms cannot accommodate extra beds. Please be informed that the hot tub facility is only available for female guests. Please note that breakfast for children is not included in the rates. Please note that the maximum occupancy of each room includes all children and cannot be exceeded under any circumstances. 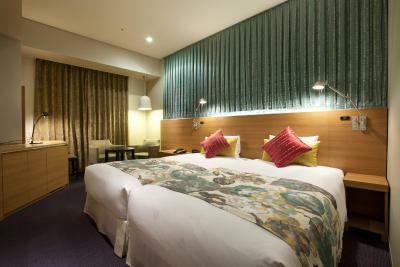 For extra guests exceeding the room occupancy, guests will be asked to separate rooms and additional charges will apply. Guests may not be accommodated if there is no availability.